While 5 will suffer in silence. 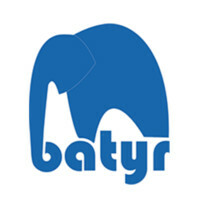 batyr is giving a voice to the elephant in the room... and we’re here to support them with their mission - to smash the stigma of mental health and empower young Australians to reach out for support when they need it most. The 2018 Elephant in the Castle Gala Event will will be held on Saturday 27 October at The Beach Hotel in Merewether, Newcastle. Tickets will available in August for the event - but you can donate at any time!!! All proceeds will go directly to 'batyr' to help them smash the stigma. Thanks for your support!